After years of waiting, Metal Hero fans rejoice! 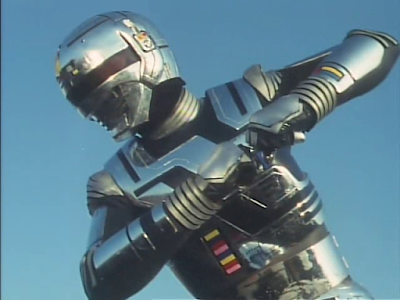 Toei has announced that they will be releasing the very first Metal Hero series, Space Sheriff Gavan in high definition home video! The burning spirit of the Metal Hero franchise just keeps on burning! Next year, 2 box sets will be released and will contain all 44 episodes of the Space Sheriff Gavan with box 1 containing episodes 1-22 while box 2 will contain episodes 23-44. The set will also contain special interviews from the Gavan crew inclufing the main man himself, the legendary Kenji Ohba, series director Osamu Kineda and gavan suit actor jun Murakami. Space Shreiff Gavan Blu-ray box set will cost 29,000 each and the first set will be released on January 1, 2017 and the second set will be released on March 8, 2017.